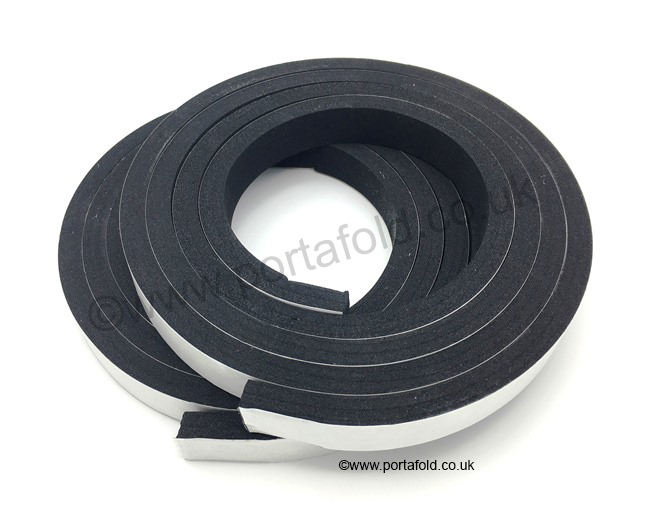 This a pair of self-adhesive closed-cell foam strips to seal the gap between the top of the two side walls and the roof. Closed-cell means they don't absorb water, so they will seal the gap without soaking up any rain water. Originally the foam was beige but you can't get closed-cell foam in a traditonal 'foam' colour. Supplied slightly over-length ready to trim to the exact length.